Why would you recommend the Paleo diet? Well, there are three main reason I would recommend this diet. Helps Balance your Omega 3 and Omega 6 ration in your body. There is such a large amount of grains eaten by the standard American diet that most people have a high amount of Omega 6’s in their body relative to Omega 3’s. Why is this significant? Well, this causes an inflammatory cascade that can cause problems with arthritis, inflammation pain, heart disease, Alzheimer’s disease, diabetes, stroke, and many others. Eating fewer grains helps normalize this ratio and decrease inflammation. Decreases your sugar intake. Sugar can be overt as in cookies or candy or sweets and these are not on the Paleolithic diet other than Paleolithic cookies which are also sweet to some degree. Having high amounts of sugar in the body due to your diet can cause extremely bad problems with diabetes, heart disease, weight gain, as well as thing that are less obvious such as sugar being a heavy inflammation promoter. Decrease or elimination of gluten from your body. Gluten is a protein found in grains that is very harmful to your body in many ways. It can cause problems with digestion, but it’s been found to cause many problems with brain health as well as being linked to thing such as brain fog, ADD, ADHD, and even schizophrenia. Due to these three reasons, I would recommend going with a Paleolithic diet instead of eating the way that most people currently do. If you are interested in learning more about the Paleo lifestyle. 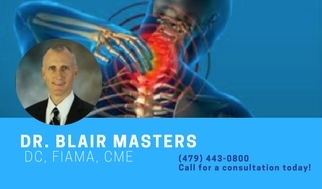 Call us at (479) 443-0800 to meet with Dr. Masters about a nutrition consultation.